With all the buzz about blogs in the UK media, we thought it would be useful for all our dear Francophile readers (truly: you) to provide you with a selection of the best French blogs. It is fair to say this list is shamelessly subjective, as it uses no other metric than personal opinion. However, you will certainly agree that the fantastic independent blogs you will find below are all managed by great web writers. In a way, they are the figureheads of the aspiration to a larger freedom of expression Internet has dragged since its creation. Fashion, Politics, Music, Arts, Gastronomy, Sports, and much more : the best of French blogosphere stands just below...Simply enjoy. This blog hosted by Libération's website is ideal for all French people living in London, as it tackles, in French, all issues which are likely to draw their attention, from the Royal Wedding to the good places to visit. Special credit must be given to the style of the articles. This one is dedicated to all parents planning to visit London with their kids. Although the design of the blog is a bit kitsch, it really gives brilliant tips to enjoy your time in London with your whole family...even if it is raining ! Last, but not least, as this one is probably the best French blog about London. With plenty of great photos and a wide range of topics, the author of this blog perfectly knows how to get his experience as a Londoner across. Garance launched her blog in June 2006, while she was living in France, to explore fashion and share illustration and photography with other fashion fans. Then she started publishing a few drawings and quickly began one of the most renowned fashion blogger. Probably the best way to prove that fashion and beauty are not for anorexic women only. Stéphanie Zwicky, best known as Big Beauty, was dreaming about parading on podiums all over the world. Unfortunately, she had to give up because of her size 16. What a brilliant revenge. That could not be more 'bobo', but this blog is pretty interesting as it contains a lot of good photos, and an accurate depiction of the oh-so-chic Parisian lifestyle. This blog was set up in 2008 by hugely knowledgeable journalist Edwy Plenel, former chief editor of France's newspaper Le Monde and currently CEO of French News Website Mediapart. It has taken the politic world by storm with its clear-cut opinions and mention its delightful perceptiveness. No doubt Plenel is the best ambassador of French web-journalism. Known as FullHDReady and symbolized by a St. Bernard, this man is the shrewdest observer of the Web. This mysterious character is a sort of Big Brother which never misses any French politician's blunder (needless to say his job must be a full-time activity) or any noticeable clash in a TV show. Politicians hate him, and that can go some way to explaining the fact he has become a Web's star. Laurence Haïm, a journalist at 'hype' French TV channel Canal +, is one of the world's best specialist about American politics. She always publishes fascinating posts about the US political soap opera, and was the first French journalist to interview Barack Obama. A must for everyone passionate about Uncle Sam. With a very stylish homepage, this blog - mainly music focused - deserves credit for the relevance of its albums critics, and the originality of its musical choices. It is a good way to get more acquainted with the up and coming artists. La Blogotheque is a brilliant music blog offering the possibility for its viewers to watch some exclusive private shows through the 'take away concerts' page. Another asset : the artists put forward are amazing. This blog is renowned for being amazingly eclectic : it highlights plenty of music styles, from soul to rap music, not to mention punk and rock. All artists are evoked with a mix of technical and historical commentaries and with a lot of enthusiasm and intelligence. As you may know, French people are really addicted to TV series : House, Grey's Anatomy, Lost, and much more. This blog suits for fans, and those who want to get more acquainted with these programs, which get some of the best audience rates. "A daily dose of creation". This is the motto of this blog, similar to a virtual art gallery featuring design masterpieces, cinema works and photographies. In other words, this is a good way to improve your arts knowledge, simply sitting in front of your computer (or should I say : without killing yourself in going to the museum). 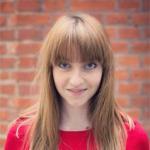 This blog was created by a true passionate about literature, 32 year-old Anne-Sophie Demonchy. It contains really accurate reviews of the latest books, and also a directory of writers and publishers. As its name suggests ('contre-pied' means 'to wrong-foot somebody'), this blog hosted by Le Monde's website covers all sports news with an original point of view, combined with a great insight into the issues. Former member of the French football team, Vikash Dhorasoo is the living proof that footballers are not necessarily these uninteresting men who endlessly saying platitudes. His blog deals with football, politics, sociology and is crammed with anecdotes about Dhorasoo's career as a professional footballer. This blog was created by some talented French journalism students and tackles every hot sports topics, with a happy balance between knowledge and impertinence. Its main strength is undoubtedly the quality of its interviews. This blogs provides you with simple vegetarian recipes with an exciting, inspiring and refreshing tone. Have you ever dreamed about cooking like a starred chef, or even beating Joël Robuchon ? Here is a great blog created by 3-star chef Jean Michel Lorain which will provide you with useful tips. Any teenager who grew up watching reality TV programs knows him : Mickael Vendetta is a true internet phenomenon. His qualities ? None. His achievements ? None. So how did he become famous ? Thanks to his great sense of 'buzz'. Thus, the main interest of this blog is to understand how far people can go to reach fame. This blog has been a huge success for a couple of years as it is the diary of an ex-cashier who became a star of French blogosphere. The success of her blog convinced Anna Sam to publish a book in 2008 about her mind-numbing cashier job...before adapting it to the screen ? Le Monde de Marion unveils the sentimental up and downs of a 23 year-old young woman, with a tongue-in-cheek style and a great sense of humour. Now you have all you need to become a true geek, and a real lover of French web-culture. As always, if you spot any other good blog then do let us know, by leaving us a comment below. This is truly the best copywriting jobs department I have ever searched on Internet, professionls of which always want to give you a helping hand. Don't have enough cash to buy a building? You should not worry, because it is real to get the loans to resolve such kind of problems. Thus get a small business loan to buy all you require. Making your own website you have to upload only unique texts. Nevertheless, even if your contents used to be composed by specialized writers, you don't get know that your papers are unique. So, you should better utilize check for plagiarism. It can assure that your content is good. Do you think it is very easy to check your texts? It is more complicated than you think. Furthermore, you will definitely utilize check plagiarism to be sure that all is good with your papers. Cars and houses are not cheap and not everybody can buy it. Nevertheless, business loans are invented to aid different people in such kind of situations. I had a desire to make my own firm, nevertheless I didn't earn enough amount of money to do this. Thank heaven my friend advised to utilize the home loans. Thus I received the collateral loan and made real my dream. This is understandable that money can make us disembarrass. But what to do when someone has no money? The only one way is to get the personal loans and just short term loan. Various people all over the world take the mortgage loans from different banks, because that is simple and comfortable. According to my own exploration, billions of persons in the world get the <a href="http://bestfinance-blog.com/topics/mortgage-loans">mortgage loans</a> at good banks. So, there is a good chance to get a small business loan in every country.